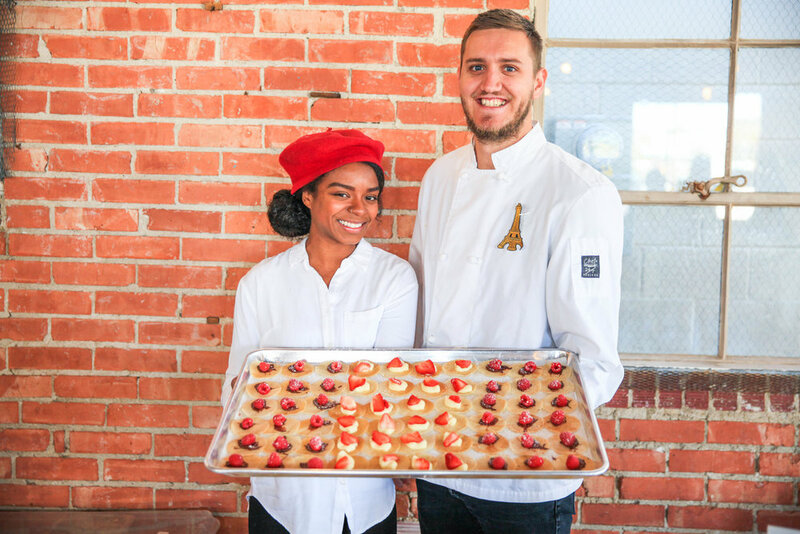 On November 10th, 2018 we brought our immersive pop-up series to Salt Lake City, Utah with CreateCelebrate Holiday. 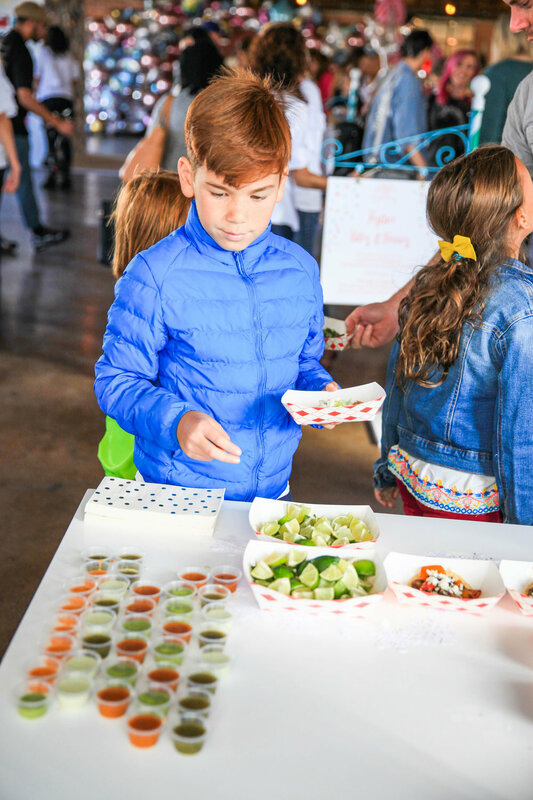 We couldn’t wait to spread a little holiday cheer to local families and influencers with our colorful, IG-worthy pop-up filled with photo-ops, delicious bites, DIY crafts and balloons for days! We love connecting with local communities, businesses and influencers to bring new ways of getting creative with Mixbook. 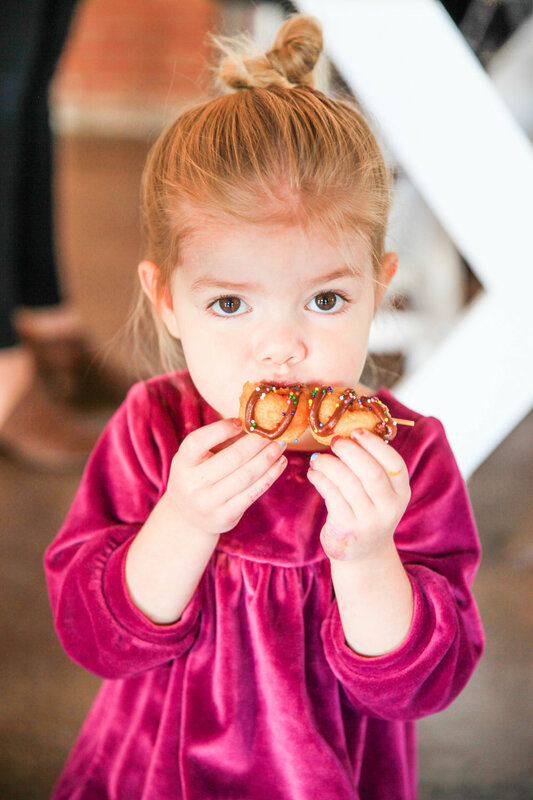 We invited a few local SLC businesses to join in on the fun and cozy up to 170+ guests and their families. 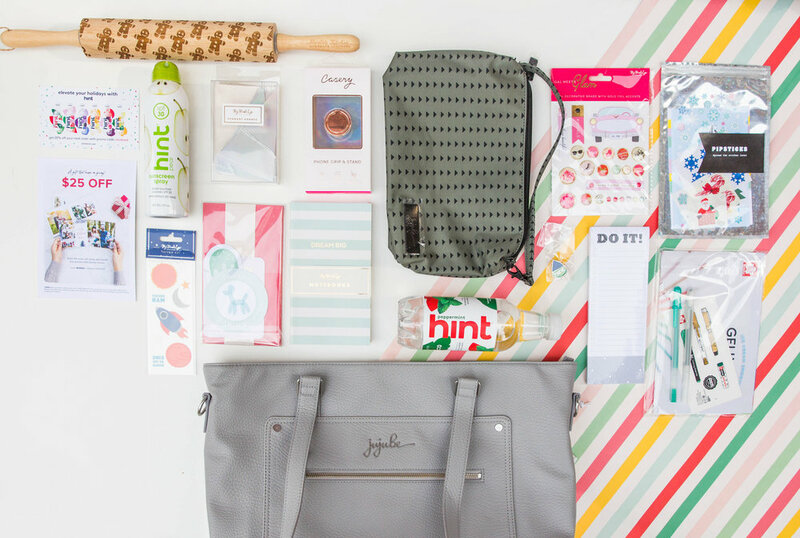 Here’s all the fun that we unwrapped at CreateCelebrate Holiday! 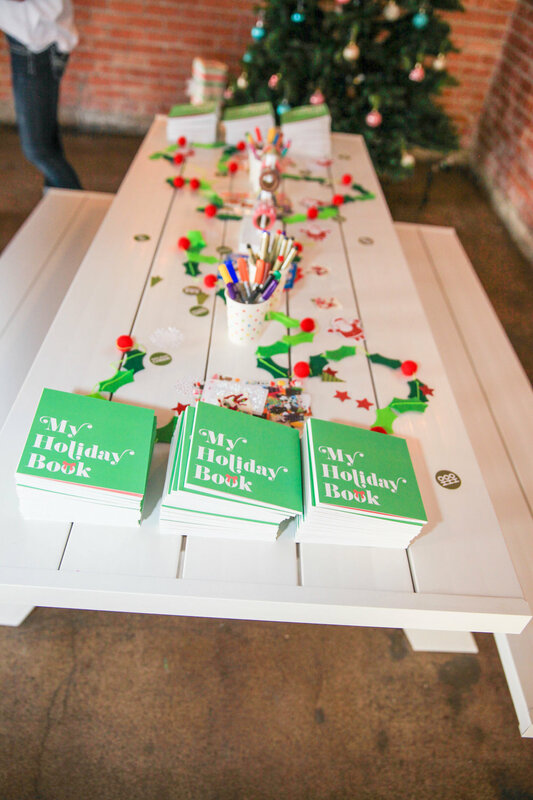 Guests were able to create the perfect family holiday photo in a beautiful, bright space curated and designed by interior designer Ashley Wilson using Mixbook wall art. 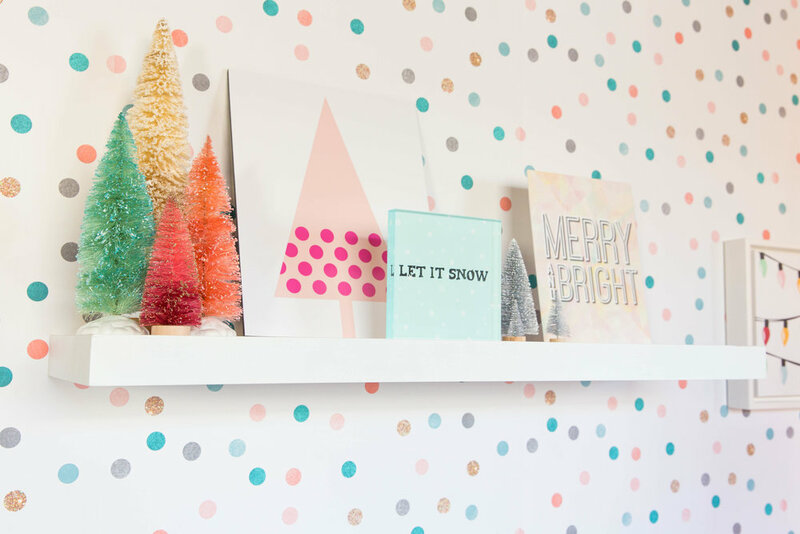 We couldn’t leave without getting this pic in an adorable holiday living room designed by @athomewithashley. What better way to kick off the holiday season?! 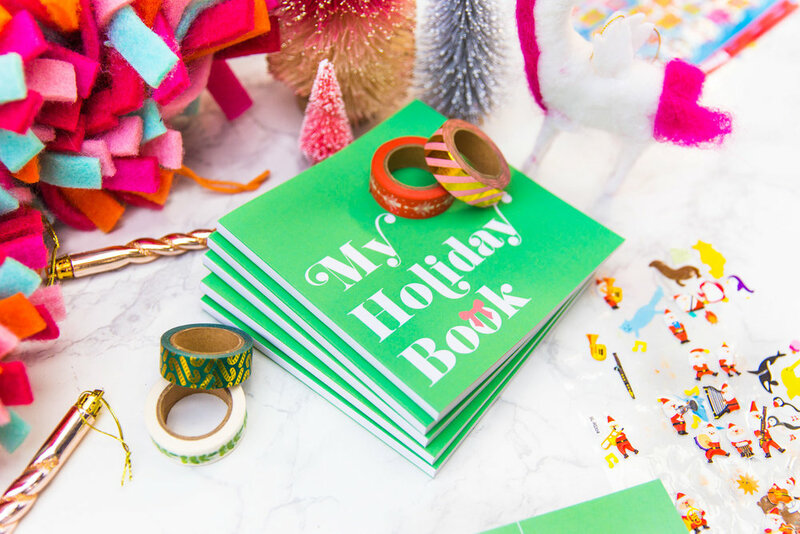 Guests picked a Mixbook holiday card designed by My Mind’s Eye from a colorful envelope wall, wrote personalized greetings, and customized their designs with craft supplies provided by Sakura, Pipsticks, and Blitsy. Over 100 cards were mailed! 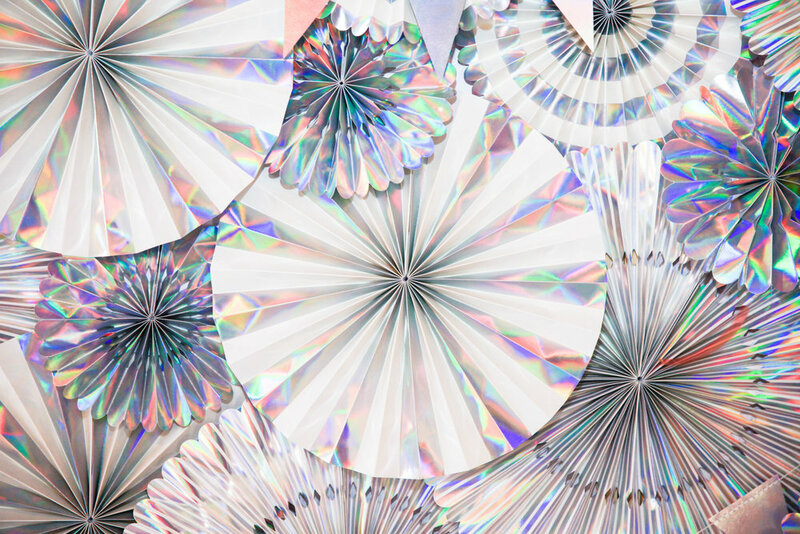 The paper craft pros at My Mind’s Eye helped create a gorgeous iridescent fan backdrop to surrounded guests and provide a shimmery ”cool” photo op! Mamas and their minis got primped and pampered by Jane while browsing some of their holiday goodies available on their online marketplace. 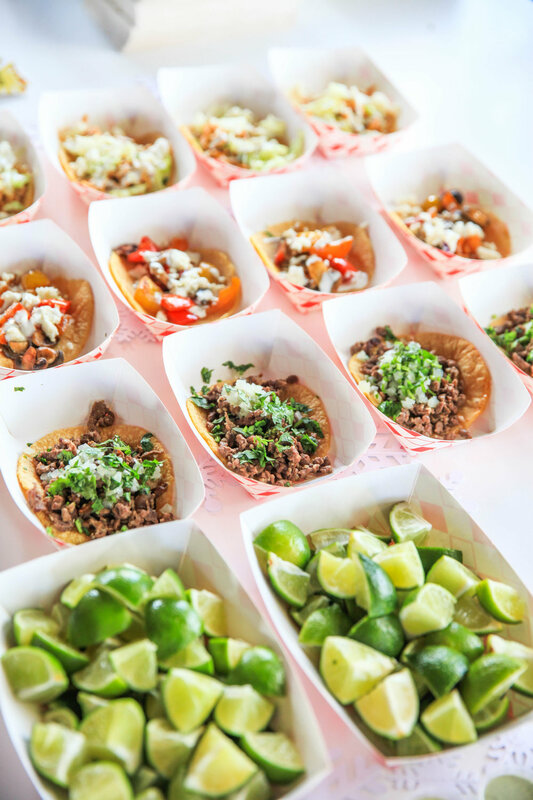 Customizable holiday churros from San Diablo Churros, DIY donuts with colorful toppings from Donut Kabobs, seasonal mini crepes by Monsieur Crepes, and fresh tacos right off the Maize food truck! These bites were crowd pleasers for sure. 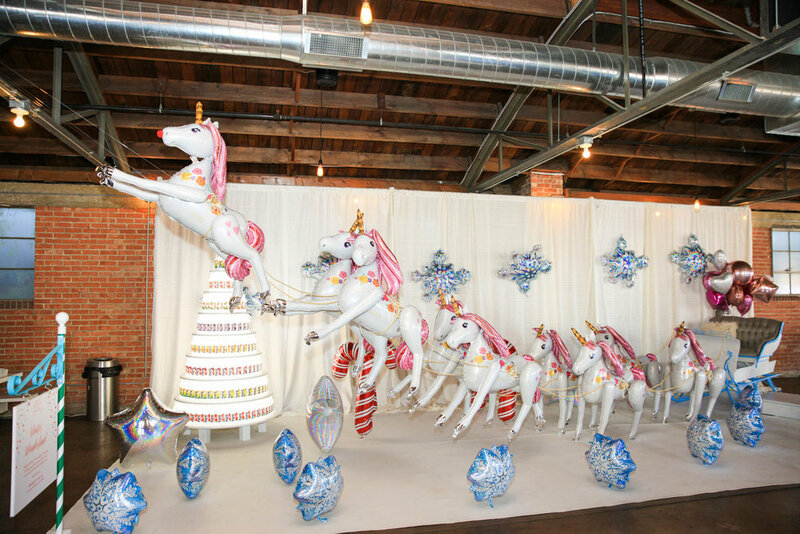 Nine magical unicorn reindeer from Anagram led Santa’s sleigh through a winter wonderland complete with a 7ft. Hint holiday tree and merry mocktail bar stocked with Hint water and seasonal mixers. 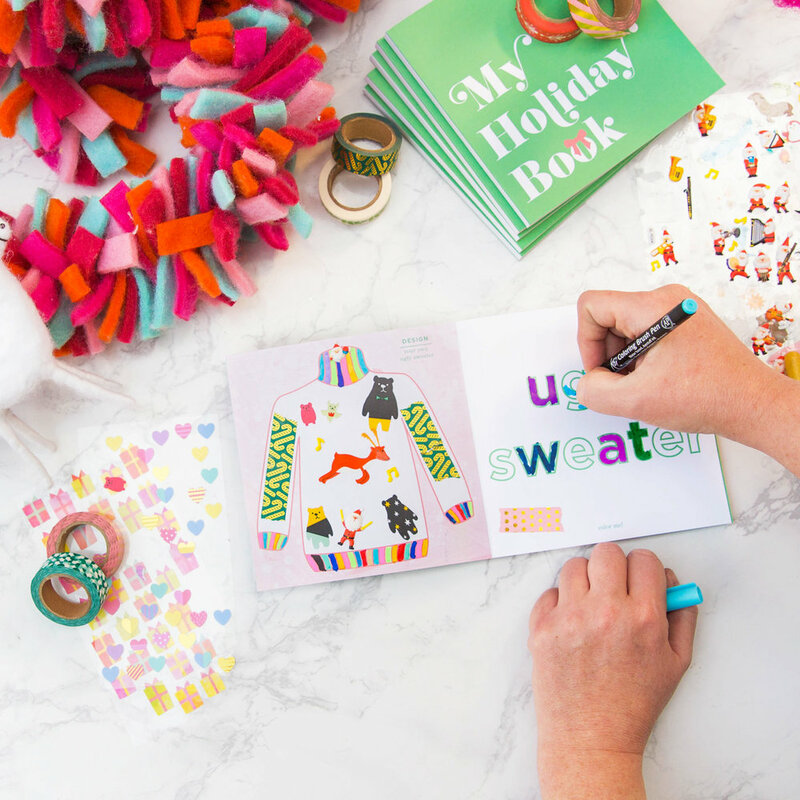 A DIY Storybook Station for kids to create their own holiday book designed and hosted by Brittany Jepsen of The House That Lars Built. This fun photo book is full of prompted activities to entertain your children while those cookies are baking for Santa. Balloons galore! 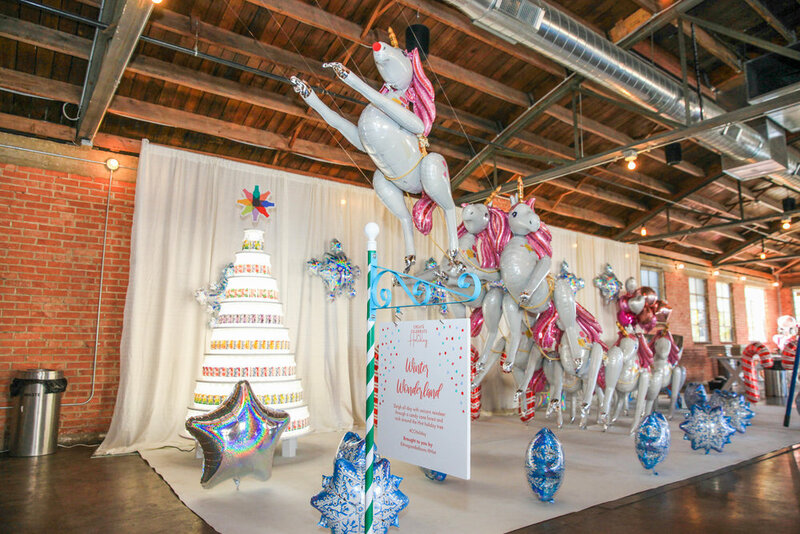 Magical organic mylar arches, bouquets of balloons-turned-presents, and unicorns flying through the air…all thanks to Anagram Balloons! 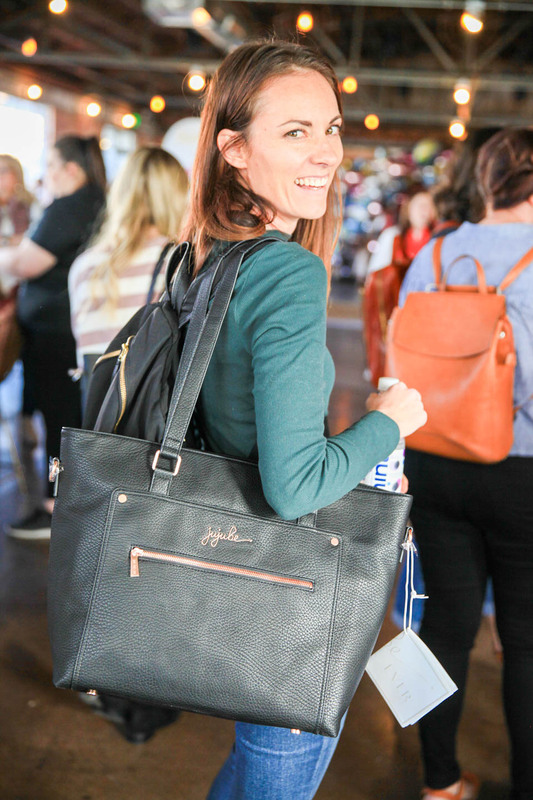 VIP guests were gifted a beautiful vegan leather tote by JuJuBe Bags stocked with goodies from Hint, My Mind’s Eye, Pipsticks, Blitsy, The Casery, and Sakura. What our guests were saying! Thank you to all our guests, partners, and hardworking, magical elves for making this such a memorable holiday celebration! Happy Holidays everyone!